Jesus Died for Me? I’m Not Buying It. I grew up in church. I’m fairly certain that I was at church hours after I was born because my parents had an Easter play rehearsal. Needless to say, Ive heard this Easter story more than most people my age. I’ve been around long enough that I can even remember being taught about Jesus dying via felt board. I’ve even taken part in the Palm Sunday experience (i.e. waving palm branches and shouting Hosanna even though I had no idea what it meant). But I must admit. I the last few minutes of this Easter, I find myself questioning. I find myself in sheer disbelief. It’s just hard for me to believe that a man named Jesus died for me. It’s a pretty tough sell. The reality is this. It happened. 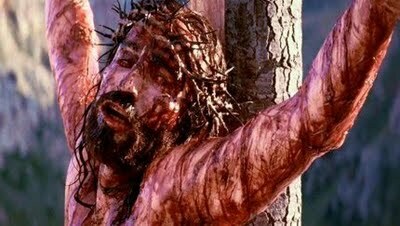 Jesus did indeed die for me. He endured such awful things for the sins of humanity. Of course I find myself in disbelief of it! As I am right now, I am incapable of such a selfless loving act! And honestly, I’m not sure that I will ever be to that point. Don’t get me wrong, I would do anything for my family. I would die for any one of them. But Jesus didn’t just die for his family. He died for mine. And for yours. And for that family that will never ever except him. If I can’t express such love, how on earth can I accept that someone else expressed such love for me?! I’m wrestling with Jesus love right now. In my shame I want to reject his love. Yet, his grace and mercy are there to pour even more love on me when I feel I deserve it the least. I happened to attend a church this evening that was in the middle of the city. It’s in a fairly affluent community. However, when you’re in the city you always have a mix of people walking and driving along the street. As I continued my walk I began to take notice of all of the people. Where I grew up you avoid making eye contact with strangers because it’s often perceived as aggression. I completely ignores my instinct to look at the ground as I walked and started looking people in the eye. As I looked each and everyone one of them in the eye I heard Jesus say, “I died for him. I died for her. And for him. And him. And yes, even for him. Today was insane. Stressful, crazy, surprising, joyful and many more adjectives. But in so many ways overwhelming. Thanks to everyone who came out. Thanks for waiting insanely long for coffee. I promise it won’t always be like that. I honestly could have never prepared for that many people to show up to our soft-opening. Thank you. Thanks also to our amazing partners (@drbeanscoffeeandtea, @airshipcoffee, @teasandthings). Come party with us tomorrow night! We open up @revivalcoffee.ar tomorrow. It’s pretty surreal. Come through and help us break in our shop. 7-12. GRAND FREAKING OPENING PARTY! 🎉🎉Come party with us and celebrate! It’s going to be rad. Loading up some gear and playing some music in other places this week. Cause that’s a thing I still get to do. Well friends, here it is. The next step in our life. We are opening a coffee shop in Little Rock! So stoked to be doing this with the support of my amazing wife @thehaleylong along with my friend and business partner Dylan @hiimdray_ Follow along with the progress as we build out and come check us out when we officially open up shop! So so stoked to bring coffee culture up a notch in central Arkansas. Check out this article from the good folks at Little Rock Soirée Magazine. I’m so pumped for this next chapter of life to begin. Work hard for your dreams, kids. Here’s to a new year filled with more of this. More rooms (small and large) filled with passionate people and life change. Spent the last few days helping two of our best friends move from Little Rock out to Flagstaff, AZ so they can help pastor @urbanhopechurch. It’s never fun to see friends move away but I’m so pumped to see the way they’re used at Urban Hope to change the city of Flagstaff for the kingdom. I’m also thankful it a wife that gives me the opportunity do things such as this while she’s home holding down the fort. @thehaleylong I’m coming home babe.